Intel Corporation (INTC) seeks to expand the boundaries of technology to provide the most amazing experience possible while designing, manufacturing, and selling integrated digital technology globally. Intel’s venture arm Intel Capital founded in 1991 has invested US$12.4 billion in 1,544 companies in 57 countries worldwide, and 670 portfolio companies have gone public or been acquired. 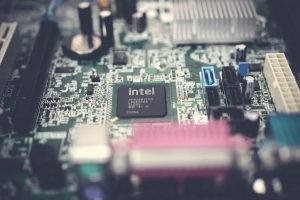 Intel Capital has specifically invested $435 million in 90 Israeli companies including $120 million in 2018. Intel Capital continues its expansion in 2019 and recently invested in an Israeli start-up called ProteanTecs, an electronics’ health prediction startup. Intel Capital participated in a $35 million in Series B funding for ProTeanTecs. Other investors included in this round included Avigdor Willenz, ITI Venture Capital Partners, Mitsubishi UFJ Capital, Redline Capital Management S.A., Viola Ventures, WRVI Capital and Zeev Ventures. To learn more about Intel Corporation (INTC) and to track its progress please visit the Vista Partners Intel Corporation Coverage Page. Intel’s venture capital fund said on Tuesday it invested $120 million in Israel in 2018 and plans to continue to invest in the country in the coming years. Intel Capital also announced an investment in Israeli startup ProteanTecs, alongside other investors including Avigdor Willenz, ITI Venture..